This blade for me excel's with med hard to medium rubbers on the FH and soft on the BH. Total control yet has enough gears to win the point as well. 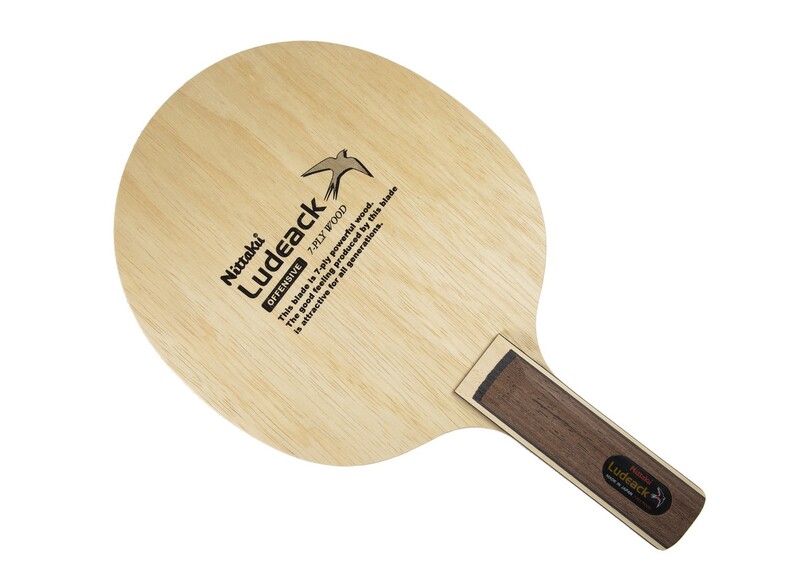 I have been using this blade with Nattiku fast arc S-1 rubber, Donic Bluefire rubbers and DHL Gold Arc 8 for a while. It has the right combination of touch feel and power. If you prefer controlled looping, rather than crazy fast shots. 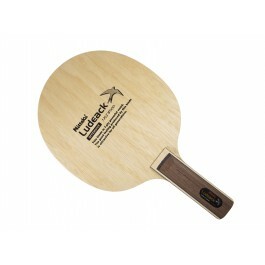 this is the one of the best 7 ply wood blades for you. I just love it, so does my table tennis playmate. I've bought a Nittaku Ludeack blade a couple of weeks ago and I'm loving it. Everyone that I played with complemented it and said it was really good. I'm not too good at describing how it plays. It is labeled offensive, but it's not the fastest blade out there. I think it's more due to the rubber you stick to it that will dictate how it plays. All n' all I'm happy with my purchase and happy with tabletennis11 service. I've ordered twice from them and both times were 100% satisfactory. Simply amazing. Great feeling and control,great for short pips on BH. My favorite 7 Ply wood blade. 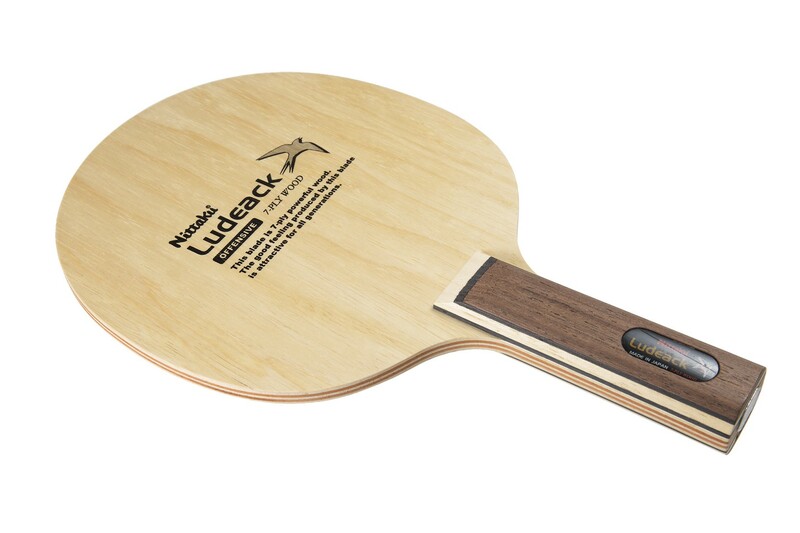 It’s a Limba/Ayous/Ayous/Ayous composition blade with incredible control and feel. Considering it’s speed (solid Off- with the new ball) this blade has the best control I’ve ever encountered and I own close to 50 blades. On average they are around 85g and 6.5mm thickness (I own 5 of them varying from 84-87g and 6.4-6.6mm.) It offers (to me) a perfect balance between enough elasticity and flex for good looping and counter-looping and enough stiffness and backbone for good blocks, hits, and directional control. Weight distribution is fairly balanced. The flarred handle feels great in the hand and is the perfect size for my medium/large hands. It does everything I ask it to do with great feeling and control and plenty of speed for my needs when paired with an offensive rubber. Incredible blade with typical Nittaku top of the line construction and finish. Very nice blade. Not as powerful as ludeack power but very control blade. The FL handle is very confortable. The shipping was fast as always! Thanks a lot once tabletennis 11. A good 7 layers blade!